Empowering our children is one of the most important roles parents have. In raising my two daughters, I am determined to do my best to instill a sense of self-worth and empowerment in them. I want them to be strong, brave and fierce. My hope is to raise my “wildflower” daughters with enough self-confidence and grace to overcome every obstacle life throws their way. I believe this is the hope so many parents have. The beauty is, it does not take much to raise strong little ones. Providing love, support and consistency is what makes the biggest impact. Children love any time that they get with their parents, even just spending one on one time running errands! However, I find it helpful to have a few creative ideas to ensure they feel seen, heard and adored. Compiled by talking with the many teachers, doctors and amazing parents in my life, here are my 39 favorite ideas and activities to empower kids! I’d love to hear how you empower your kids in the comments below! Compliment them daily on things that matter such as; kindness, empathy, and courage. Of course tell them they are beautiful/handsome, but since that is fleeting, focus on the important aspects of their character and how important they are to you. Start conversations at an early age about how their bodies are amazing, no matter what shape, color or size. Explain that they alone are in control of their bodies and the power of it. Write a letter praising accomplishments or traits you want to encourage. Keep them in a book so they can look back on them through the years when they need a reminder. Read, read, read to them. Teach them about the world through books. Expose them to the beauty of different cultures, countries and traditions. Try new foods, attend festivals and make crafts popular in other parts of the world. Teach them they do not have to keep a secret with any adult and encourage open discussions with family members if something is upsetting them. Plant and tend a garden together, letting them choose some of the plants. This allows them to see the power they have in creating food and connecting with nature. 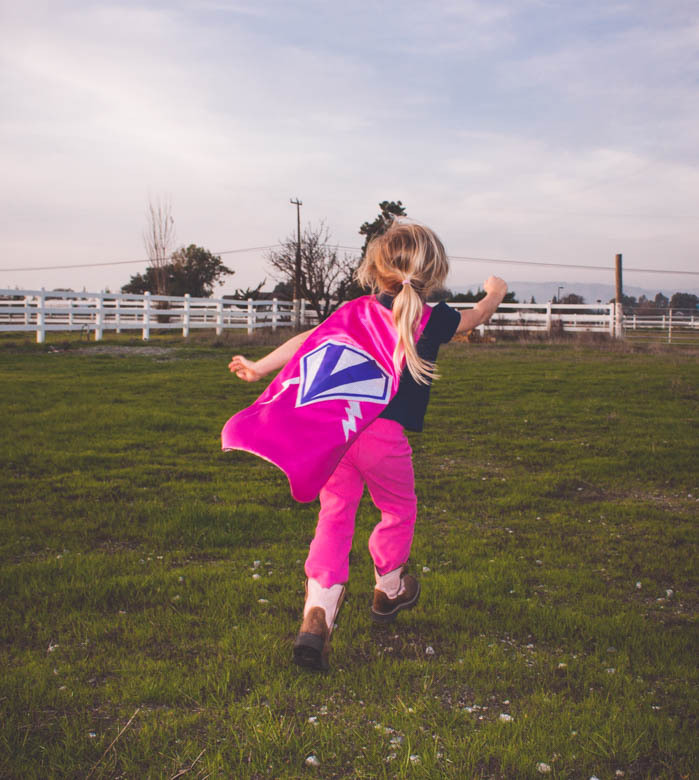 Teach them how to protect themselves and escape dangerous situations safely. Contact local fire and/or police departments for guidance. Take time to talk with them one on one, such as before bed in their room, everyday. Allow them to choose a new or exotic recipe from a cookbook to try and cook it together. Show up at their school to have lunch with them and their friends. Get to know their friends! Let them choose the paint color of their bedroom and assist in finding decorations for it. Take them to a bank and open a savings account in their name. On February 1st through Valentine’s Day, leave a heart on their door with something you love about them each day. Take them to do a one-on-one activity of their choice with you, whether the zoo, ice cream, etc. Write a letter together to the author of their favorite book, explaining why they loved it. Interview grandparents and family members with them. Teach them about their ancestors and the strong line of men and women who came before them. Provide positive role models for them. Discuss what makes them role models instead of just pop cultural icons. Make a list together of the people they love. Provide ways to contact them when they need encouragement or support. Agree on a secret code word or phrase to use in public if they feel uncomfortable or want to go home. If and when they use it, listen to them and act as soon as possible. When old enough, buy a pet. Teach the responsibility of taking care of an animal and having empathy towards them. Teach them what healthy love looks like, whether with a spouse or amongst family members. Teach them what a healthy disagreement looks like. Explain that people fight, but it doesn’t mean the love between them stops. Expose them to new activities together, such as rollerskating or yoga. Let them decide which activities to pursue, do not force the activities you want them involved in if they prefer something different. Purchase and sample a new fruit or vegetable they have never tried before. Buy them a dictionary and teach them how to look up words from it, instead of using google every time. Take them to the library and choose their own books. Teach them how to create a book reservation if they are looking forward to a new release. If you have to go out of town for work, send a letter or postcard in the mail for them. Explain why you select certain candidates to vote for. Teach them the importance of how to budget their money at a young age. Teach them early that difficult times in school won’t last forever. Get to know their friends. Discuss and encourage open dialogue with them about what being a good friend means. Teach them directions, so if a GPS breaks they always know how to get to safety. Teach them basic cooking techniques and how to cook their favorite meal. Write a letter to a representative in Congress about an issue that is important to them. Teach them that heroes come in all shapes and sizes. Wow! A wonderful list to have for a reference and frequent reminder. Love the capes the girls are wearing in your photos too. Great post and love the pictures!!! Thank you for sharing these wonderful ideas. I can’t wait to use them tomorrow with my crazy kids ? Love it! I’ll have to pick up your habit of writing letters and notes outside of the lunch box. B would love it! I’d add two things: teaching kids the value of curation in all areas of their lives and fostering their senses of possibility and capability. Excellent list and love the idea of opening the door to more conversation with “tribe” to combine the best of the best! DPA told me about that one! Yes, that would be fun! <3 Thank you for the love and support!